Now, one of those headlines seems a bit… different, doesn’t it? To recap, 2015 and the first two weeks of 2016 have seen the fossil fuel industry go absolutely bust, with West Texas Intermediate crude prices dipping below $30/barrel on Tuesday. Weakening demand out of China, geopolitical factors such as a Saudi Arabia being financially incapable of slowing down production and quickly scaling competition from renewable energy sources have all led to a supply glut that won’t be ending anytime soon. Even with oil and gas prices at their lowest in a decade, renewable energy investment shattered previous records. So why did the sunny state of Nevada’s booming solar industry suddenly cave in? The state’s Public Utilities Commission decided to allow NV Energy, a utility company, to raise rates on households that installed rooftop solar panels, and to cut the rates they paid for the solar energy those households sell back to the company to below-market prices. In effect, solar customers will now have to pay for the privilege of contributing to the electricity supply. The decision was even made retroactive. Not only would new solar customers pay more, so would those who had already invested in rooftop energy. As per this decision, they will have assumed all of the risk of investing in renewable energy, while NV Energy will reap all of the benefits. For retirees like Judy Treichel, who adopted solar to cut down on living costs to accommodate a fixed income, their wealth has effectively been expropriated by the state. Solar operators Suncity, Vivant Solar and Sunrun have pulled out their statewide operations, laying off hundreds already and costing the state up to 5,000 jobs long-term. So why did Nevada’s Republican Governor Brian Sandoval endorse a decision that would cost his state thousands of jobs? He’s been mainlining too much pure Koch-cash. ALEC, the American Legislative Exchange Council — the most active and well-oiled wing of the conservative Koch brothers’ political machine — has been fighting alongside private utility companies to topple renewable energy standards adopted across 29 states. Energy is a tightly regulated market. Before the advent of alternative energy, it wasn’t as if people could just plug their treadmill into the wall, start running, and suddenly they were making electricity. There was no market for it, and there were no laws or conception of what the market would look like. There had to be some agreed upon procedure, some contract-enforcing authority(!). States enacted laws to regulate the renewable energy market. 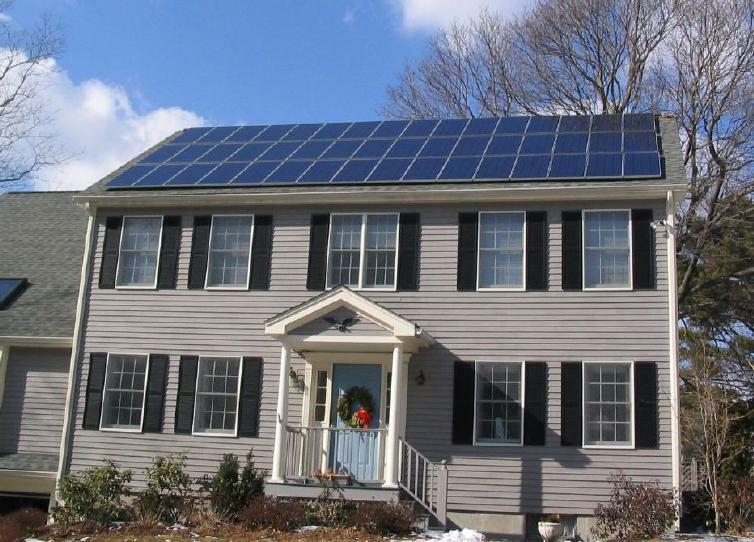 If a household installed solar panels, utility companies would agree to pay them for electricity they produced or offer a rebate on their bills when they pulled from the traditional grid. Regulation varied from state to state, but in many, public utilities commissions were to establish the rates each respective party would pay and receive in a “competitive auction process.” But since public utilities commissions are often appointed by the governor, a “competitive auction process” is an inherently political auction process. Most state renewable energy standards were adopted over a decade ago, by 2004 on average. (Iowa developed the first alternative energy standards in 1983, bringing that average down by almost a year.) Suffice it to say, many states’ standards could use some modernization. Which will happen, in the wrong direction, if ALEC and the fossil fuel industry gets their way. Utility companies say having to pay renewable customers for energy they produce cuts into corporate profits and limits the capital they can spend on maintaining basic electrical infrastructure. But for-profit, natural monopolies (in Nevada’s case, one owned by Warren Buffett) rarely act in the public interest. Rooftop solar energy is essential to create more jobs, consumer choice, and clean energy. The decision by @nevada_puc took Nevada backwards. Reporting for Slate in 2014, Justin Voorhees wrote that “the utilities believe their business model hinges on undercutting the rooftop solar industry before it matures.” So ALEC and privately-owned electric companies teamed up for an assault on the Public Utilities Commissions in Wisconsin, Colorado, Utah, Oklahoma, Ohio, Nevada, and many other states. ALEC’s boilerplate legislation to repeal renewable energy standards uses principles like “freedom,” “choice” and “voluntary markets” as rhetorical flourish. They argue that “renewable energy is more expensive” for consumers, ignoring that solar is adding energy capacity, and can keep going as long as there’s empty space in America. Though their stated aim is to uphold free markets, ALEC’s real goal is to guarantee energy companies, many of which operate fossil fuel plants that compete with renewables, a profit. Both the Koch Brothers and the utility companies have a vested interest in rolling back renewable energy standards that are putting downward pressure on energy prices. Each has strong incentives to dismantle the tax credits and renewable energy standards that have nonetheless made the U.S. one of the world’s biggest clean-energy investors to date. But that’s just how “crony capitalism” — or, um, plain old vanilla capitalism — works. The 6th wealthiest man in America may self-effacingly claim not to have much influence in the current election, he has been as good as the personal author of the Republican agenda on a state-by-state basis. It doesn’t make political or economic sense, and it’s setting the U.S. back in its development of a cleaner, cheaper, and more efficient grid. It’s a religion, the “free” market. Or rather, “free market” is a mantra in the investorsRule religion, which has as much understanding of and respect for the words “free” and “freedom” as southern slave-owners did. I’m sure there are, but it’d cost money to make it happen. In the meantime though, you’d also then lose all the benefits of net metering — and that suddenly makes putting in solar at all significantly less cost-effective. As I indicated above, the real long-term solution is battery storage, so one can get rid of the grid-tie entirely. If I couldn’t benefit from get money putting energy into the system then I wouldn’t put into the system at all. Surely there could be a way to turn it off so the power company doesn’t steal the excess. Oooh, those Koch boys must have something mighty to fear to convince Nevada to do this. Who said the Mafia doesn’t operate there anymore? We just installed solar arrays here, and yes, even though our state gov’t has continued to be rather ‘green energy friendly,’ the experience was an eye-opener. First of all, the boom in renewable energy has resulted in a number of shortages, including in the specialized equipment needed for it, especially converters, panels, and trackers. Our 10kW system is on two poles with dual-axis trackers (for maximum efficiency, esp. during winter), and not only did it take months for the tracker units to become available, when one of them proved to be defective (not an unusual occurrence), we were told it could be many weeks before the solar company could get a replacement. Mind, the 2nd pole panel array is producing, but it’s fixed in position until that replacement tracker can be obtained. As a data point: We tried to have this system installed in May. Engineering and financing issues caused this to be delayed to August. Parts and components availability caused the installation to be delayed until just before Thanksgiving. And the inspections and technical issues caused the switch-on to be delayed until Dec 8th. The regulatory environment really is key. Our power company has a number of incentives, including carbon credits, to include as much solar on their balance sheet as possible. This tends to offset their losses due to the net metering situation, but at the same time their senior engineer who had to come out to assist in the cut-over and to sign off on our installation made his feelings abundantly clear: He hates renewables because it may very well one day cost him his job. It wasn’t just solar either–this guy was pissed about the wind farms, too, for reasons I couldn’t quite fathom. Yes, the weakness in this whole regime is billing and rates. I mean, for us now, basically our power company is our power storage system. Our arrays, even with just one pole tracking properly and the other fixed, produce more than enough juice for our needs. But that’s only because our power meter spins both directions — we produce WAY more than we need during the day, and draw down that excess at night. If our power company is able to rig the rates such that our excess during the day is only equal to a fraction of that in return at night, we’re hosed. Same thing if they’re allowed to charge us an exorbitant monthly hook-up fee. As I see it, in the longer run, the other half of the renewables tech needs to come into play, and fast: Electricity storage. Basically, people will need to be able to get off the power grid entirely before the Koch-suckers will lose their ability to muck with people’s lives in this respect. Until then, look for lots of this kind of energy market rigging and shenanigans. We don’t have batteries here yet…but as soon as (1) we can afford it and (2) the tech advances just a little further, we fully plan to have them installed. We are definitely keeping an eye on those new Tesla battery systems, the ones where if you have just one or two units installed, it would keep a whole house running through the nighttime cycle, if not longer. Like I said, the day when people have the option to just cut that electricity line is the key. In the meantime though, the situation in Nevada makes it clear where the line has to be drawn. Yes, it’s fair for a power company to charge a reasonable monthly fee for continued hook-up to the grid, but they should be banned from setting rates that let them (effectively) steal electricity and money from homeowners. We are having some of the same problems even here in Massachusetts with legislative actions against net metering and raising solar caps even while the renewables sector has been one of the fastest growing job creation engines of our local economy. Look to the experience in Georgia where the Tea Party and the Greens got together to become the Green Tea Party and make rooftop solar possible there. Some of those activists have moved on to Florida now to accomplish the same thing. Only a concerted effort against the energy industry will enable the shift, on a national level, of reliance on fossil fuels. This will indeed be a struggle, but the future of a livable planet demands it. Go vote this fall, learn about all the local candidates, and vote accordingly. Free market — Pffft. No such thing. It’s been rigged since day one. Anyone who believes the “free market” propaganda is an idiot.